It was reported in The Sunday Times today that a controversial proposal has been put forward for public consultation in Sydney to allow apartment buildings to be built without any parking spaces for cars, amid the soaring property prices and growing traffic congestion within the city. The proposal would apply to new developments within 400m of transport hubs such as railway stations, bus interchanges and light rail stop. The rules would not apply to the entire city but to 22 designated council areas, which are mainly densely populated and in the inner city. The state government of New South Wales has claimed that the change will help to cut up to A$50,000 from property prices. However, the move has triggered anger in some quarters, with critics saying that Sydney's public transport is not good enough and many people will be left with cars for which they are unable to find places to park. But property developers and some architects welcomed the cost reduction for new developments, noting that building underground parking is often the most expensive part of the construction costs. After the reading report, the question that comes to mind is: will similar proposal garner enough traction in Singapore? Our public transport system, despite its fair share of woes (the wife and I have lost track of how many times the MRT had broken down in the past 6 months), is fairly well-connected around the island. So allowing new residential projects within 400m of transport facilities (bus interchange, LRT and MRT stations etc) may actually be an option. But with our "car crazy" population whereby many household owns one (or more) cars, many home owners/prospective home buyers (including yours truly) are already bemoaning the fact that most new developments these days only cater to one car per household at most. So god forbids allowing developers of new projects to not provide parking facilities within their developments! Having said that, the concept of "no parking facility within a residential development" is not entirely new to Singapore. The wife and I recalled visiting the sales gallery of The Rochester condo (at Bouna Vista) some years back, where we were told that the development does not provide parking facilities. Car owners will have to try their luck in getting season parking from the mall across the road. The wife and I would like to hear what our readers think about the concept of "no parking facility in your condo". Is this something that you can/cannot accept? 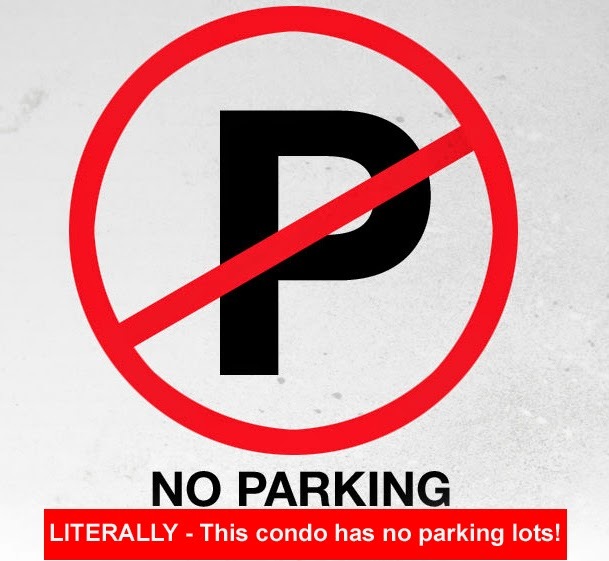 3 comments to ''Condo without parking: Yes or No?" Dont think I will accept, but if its a theme based project targeting young singles and near MRT, with a good price - maybe it will work...? Definitely won't accept as this is even worse than HDB which offers you the option of purchasing season parking. Unless the developers are wiling to sell at prices closer to that of flats..?! ?